In a busy evening for the TACNY listserv, David Harding with CNY Skeptics has sent the following announcement for a lecture this coming Wednesday, January 15th. Please contact (315) 636-6533, cnyskeptics.org, or email info@cnyskeptics.org for more information. After receiving a Ph.D in experimental psychology, Mahlon Wagner taught statistics and research design in a University setting. Based upon these two topics it became “natural” for him to look at “alternative” medicine and the claims made for “alternative” treatments in the light of existing experimental evidence. In his talk, Mahlon Wagner will look at the abundance of “alternative” medicine in Central New York and discuss how to detect the “code words” that can suggest if a treatment is “alternative” medicine. He will also discuss some of the main types of alternative medicine (such as chiropractic, acupuncture, homeopathy, reiki, and therapeutic touch) and examine what, if any, evidence exists for their claims to effectively treat medical conditions. 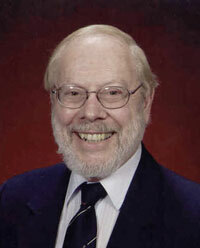 Mahlon Wagner is Professor Emeritus of Psychology at SUNY Oswego. He has been a long-time member of CNY Skeptics, and has given several presentations in Germany and the UK on various skeptical topics. He has written on and lectured about the effectiveness of various forms of “alternative” medicine.